It’s December—the time of year when people pull out their snow shovels, hang their stockings by the hearth, and read the “Best of ” lists. 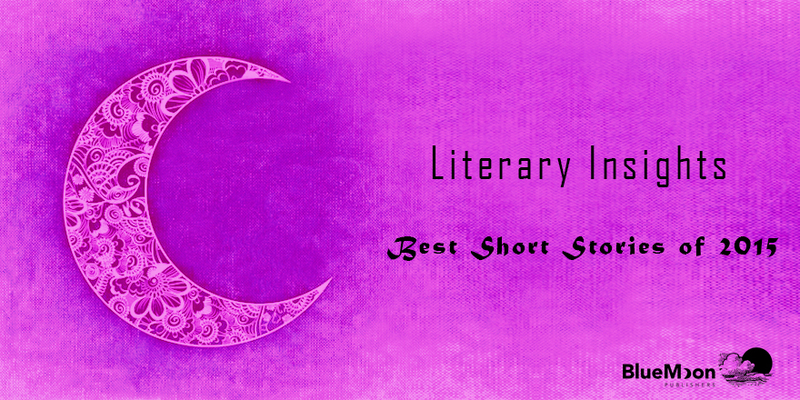 In this month’s blog I highlight my five favorite short stories (in alphabetical order by title) of the year. In “Amerika’s Box,” Mai Al-Nakib makes a powerful statement against war and its destructive capacity to change attitudes and destroy dreams. Following the liberation of Kuwait in 1991, Ahmed and Fatma decide to change the name of their youngest child and only daughter to Amerika “to commemorate their nation’s gratitude to America.” Although Amerika doesn’t exactly know what America is at the age of five, she knows it must be something special by the way other Kuwaitis exuberantly respond to her name. Watching satellite television, she begins to piece together images of the country for which she is named—baseball, cowboys, Halloween, Nancy Drew, and tornadoes. She is convinced that people who live in a country that stretches from sea to shining sea are happier than Kuwaitis. She begins a collection of objects (a Tootsie Roll wrapper, Elvis pin, Abraham Lincoln penny, Winnie the Pooh sticker, and a long list of idioms) that represent her adopted land. This story is included in Al-Nakib’s first short story collection and is reviewed on my short story blog, Short Story Insights. “The Five Wounds” was Kirstin Quade’s first published short story and appears in her first collection, reviewed on my short story blog, Short Story Insights. But as Amaedo is practicing his role on Holy Tuesday, his abandoned daughter turns up on his doorstep, 15 years old and pregnant. The father-daughter reunion adds another twist to a story that is both humorous and heart wrenching, climaxing with an ending that will take your breath away. “Fallow Dog” is the most plot-driven of the five stories I have selected. This haunting narrative is an edge-of-your-seat, emotionally charged story in which a young man makes a startling discovery about his late grandfather’s involvement in the abuse of animals when he discovers near-death bait dogs living at the back of his property. Convinced that the dog fighting ring leader must be the next door neighbor, Jimmy confronts and falsely accuses him of the brutality, only to later discover his own family’s involvement. Jimmy’s compassion for the mistreated bait dogs and awakening to the capability of human evil, even among his blood kin, make this story outstanding. Father Brother Keeper is Nathan Poole’s first collection of short stories and is reviewed on my short story blog, Short Story Insights. This story fascinated me because it explores two different types of conflicts (mother-daughter and woman-to-woman) skillfully woven together in a narrative that also reflects cultural dissonance. At the premier of her daughter’s debut film, “Mother of Annoyances,” Lydia Wong sees herself reflected in a most unflattering way, which causes her to wonder if she is really welcome in her daughter’s American home. Lydia wants Anna to travel to China and pay respects to the grandparents she has never met. She fantasizes her daughter making a documentary that illustrates Anna’s pride in her ancestry, while Anna shows no interest in anything Chinese. Lydia also has ongoing animosity toward another elderly Chinese woman, Mimi. In a moment of spite while Mimi is congratulating Anna at the film debut, Lydia steals Mimi’s ceramic Jesus statue from her purse, which Mimi bought at a garage sale for $2. Later, when the theft is discovered, it is Anna who comes to her mother’s defense. And a moment of mutual humiliation, a potent force in Asian culture, restores peaceful—if fragile—ties between Lydia and Mimi. “To Ashes” is a multi-layered story of several characters and the unanticipated intersection of their lives, blended skillfully and seamlessly together in a sensitive narrative that examines loneliness, family closeness, and human connections. This tale is included in Lange’s second short story collection, Sweet Nothing, reviewed in my short story blog, Short Story Insights. “To Ashes” is Armando Morales’s story, who sets out in search of his missing nephew and wife, who are illegally crossing the border from Mexico into California at the same time there is a massive border fire. It is Miguel’s story, who reluctantly accompanies his father into the fire-ravaged wasteland in search of his cousins, only to be challenged physically and emotionally as he has never been before. “To Ashes” is also Brewer’s story—a lonely 70-year-old who refuses to leave his trailer, even when it is threatened by the fire—who determines if he is forced to evacuate, the one possession he will take with him is his battered copy of The Complete Works of Shakespeare. And, even though we learn little about them, the narrative is also Alberto and Maria’s story, for it is their fatal attempt to cross the border that brings together Armando, Miguel, and Brewer in search of the missing couple. 1. Strong characterizations: From the young Kuwaiti girl whose new name takes her on a roller coaster ride through her all-too-short life (“Amerika’s Box”) to the elderly Chinese woman who steals her friend’s $2 Jesus statue and takes it to the Antique Roadshow to be appraised (“Prized Possessions”), the characters in these stories are intriguing and quirky but all ultimately very human. All of us can empathize with Brewer (“To Ashes”) who always prided himself on his strong arms solitude until he finds himself at 70, alone and lonely “with quivering jowls and sagging belly.” We are amazed that Amadeo Padilla (“The Five Wounds”) is willing to have his hands nailed to a cross to seek redemption for his worthless life. We are as shocked as Jimmy (“Fallow Dog”) to learn that animal abuse is a dark family secret. This year Amadeo Padilla is Jesus. The hermanos have been practicing in the dirt yard behind the morada, which used to be a filling station. People are saying that Amadeo is the best Jesus they’ve had in years, maybe the best since Manuel García. 3. Insights: These five stories offer insights into the broad spectrum of human nature. Amadeo Padilla (“The Five Wounds”) realizes too late that he has missed the opportunity to forge a relationship with the daughter he abandoned. Jimmy (“Fallow Dogs”) discovers his family is capable of a cruelty that is beyond his imagination. Brewer (“To Ashes”) experiences the satisfaction of connecting with other people when he offers assistance to immigrant strangers. Amerika (“Amerika’s Box) pays the price of adolescent individuality with her exclusion. And two once antagonistic women learn that humiliation can allow them to call a truce and find common ground (“Prized Possessions”). 4. Exploration of issues: All of these stories address issues of importance in contemporary society: war (“Amerika’s Box”); immigration (“To Ashes”; “Prized Possession”); animal abuse (“Fallow Dogs”); culture (“Amerika’s Box”; “Prized Possession”); and relationships (“To Ashes”; “Prized Possession”; “The Five Wounds”). A well-told tale that also tackles a societal issue becomes a “best of” candidate for me. Two of the five stories I have selected as the best of 2015 were included in writers’ debut collections. Even new writers are capable of writing extraordinary literature. What was your favorite short story of 2015?